The Merlin Conspiracy by Diana Wynne Jones– humble rating: Motivational Speaker – I was reading through this and I thought to myself, “This reminds me of the world with the embroidery in it. Which book was that?” Yeah, then I got to the embroidery scene. At first I was flummoxed. How could I have forgotten that I’d read the book before? But in the end it doesn’t matter. I loved it just the same. Mini, Nick, Romanov, Grundo, the goat. Loved them all. 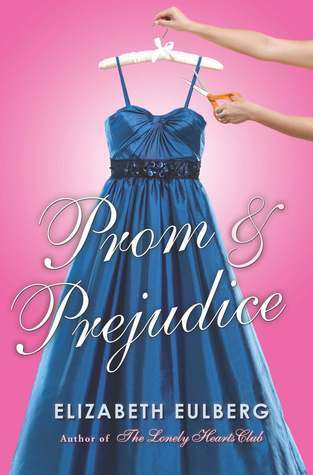 Prom and Prejudice by Elizabeth Eulberg – humble rating: Golf Clap+ – I liked the modern twist to the story. I admit that retellings seem like cheating to me, but they are fun to read. So, what do I know? Maybe I’ll give it a try. Or maybe I’ll just stick to reading them now and again. It isn’t so fun to know the ending, but the journey there can be entertaining. 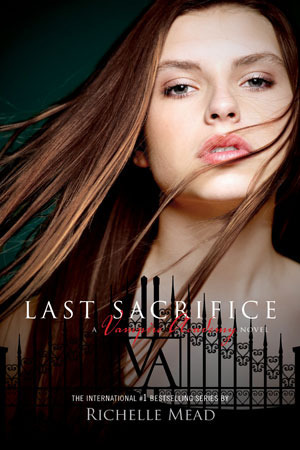 Last Sacrifice by Richelle Mead - humble rating: Motivational Speaker – I give this book an MS rating if for no other reason, than for who Rose ends up with in the end. I would have gone all Strigoi if she hadn’t. Wrapped up a thoroughly enjoyable series well. Only a couple slow books in the series. This book wasn’t one of them. Harry Potter and the Deathly Hallows Part 1 – Can I just say that Emma Watson is brilliant in this movie. I like your website and how it looks. Nice going!